FX Bikes created the FX Mountain Moto. 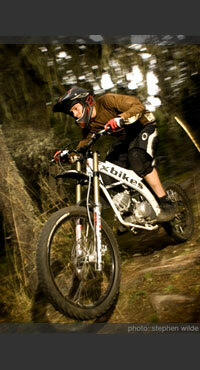 Crosses between motocross and downhill mountain bikes. Totally new category - 'mountain motorcycle'. That's why we call it Mountain Moto.